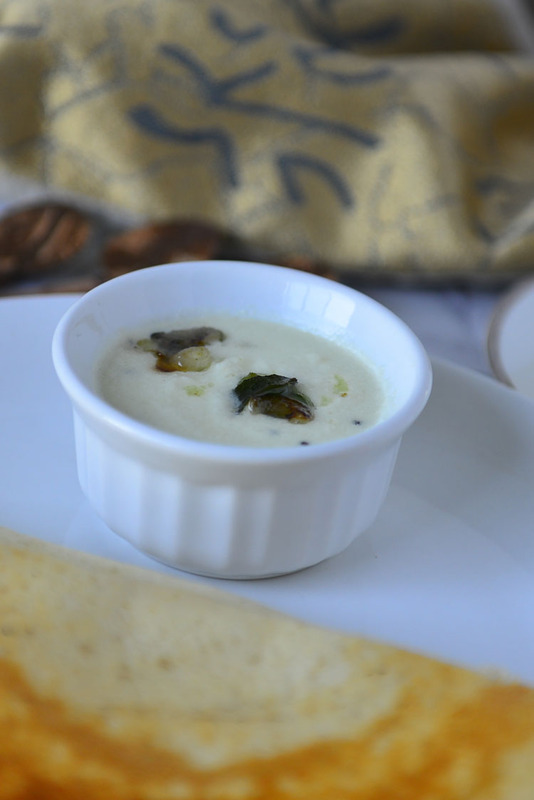 Avial must be one of the most popular vegetarian dishes from Kerala. 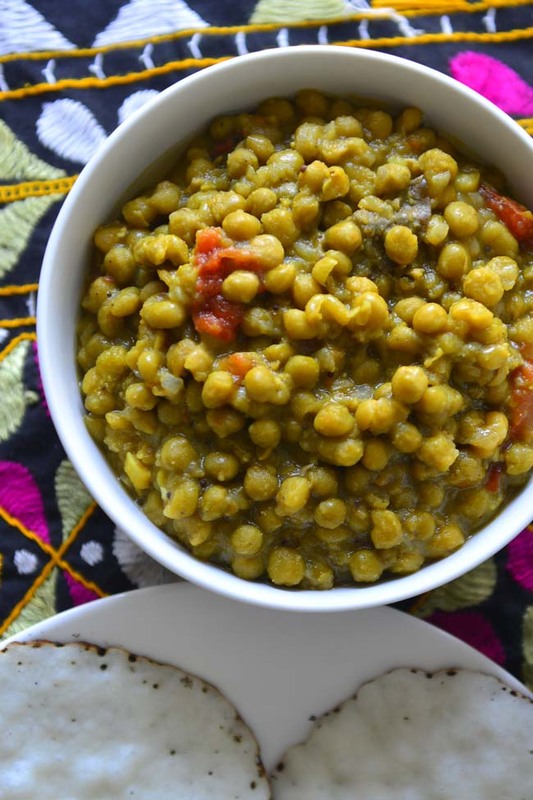 It is a vegetarian feast in itself and is an important part of the traditional festive meals – sadya. 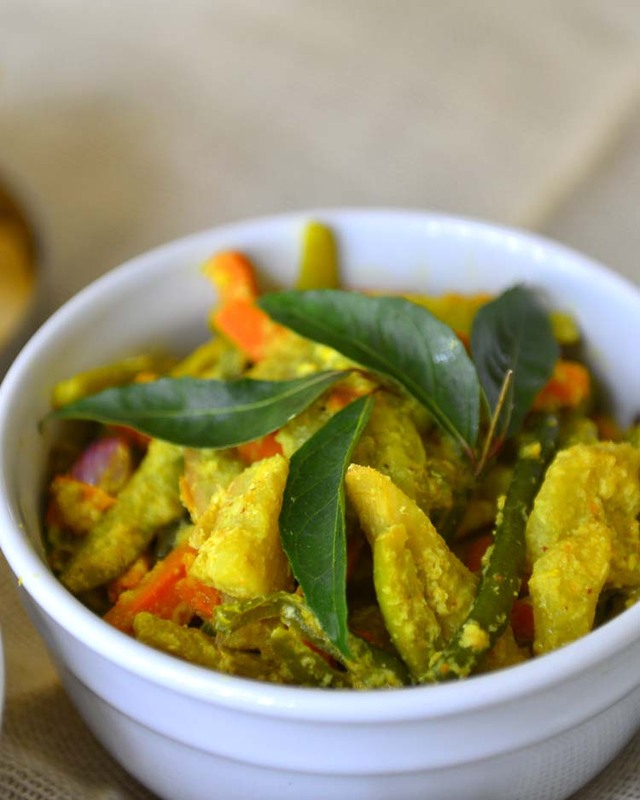 Avial is made with a dozen or more local vegetables and delicately flavored with coconut , turmeric and cumin. 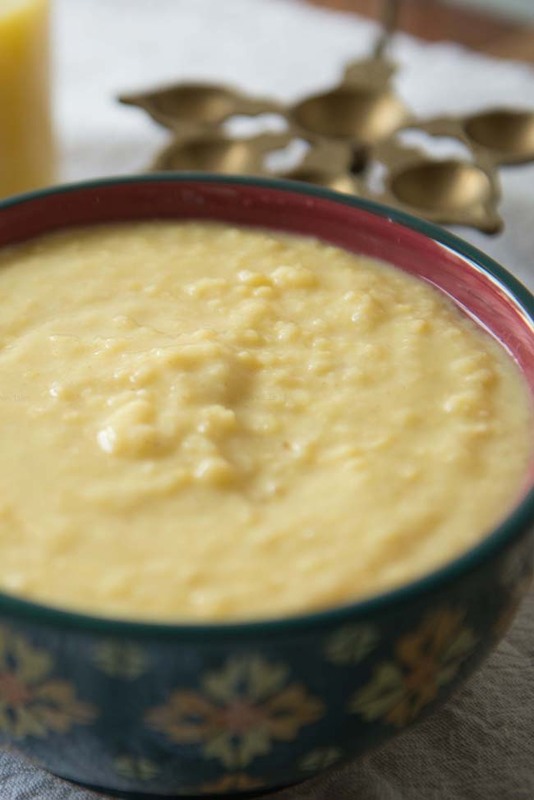 Parippu pradhaman is a Kerala desert made with mung beans, jaggery , and coconut milk. 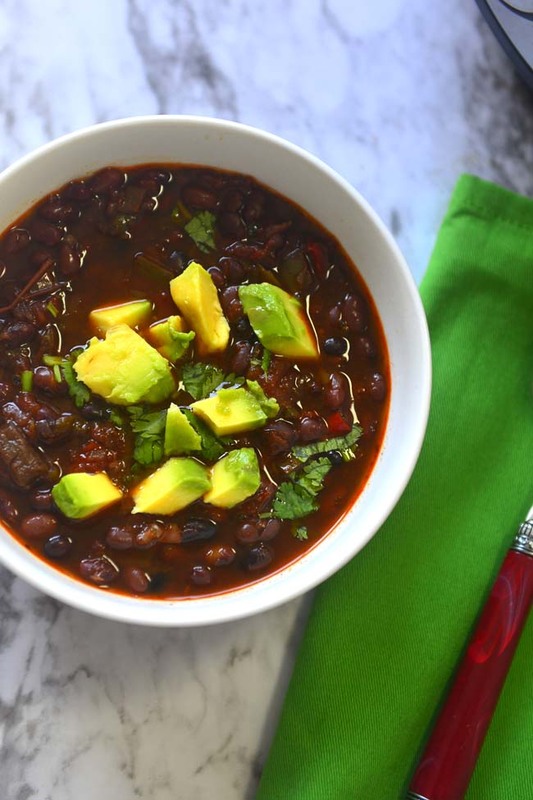 Traditionally it is slow cooked over wood fire creating smoky caramel flavors. 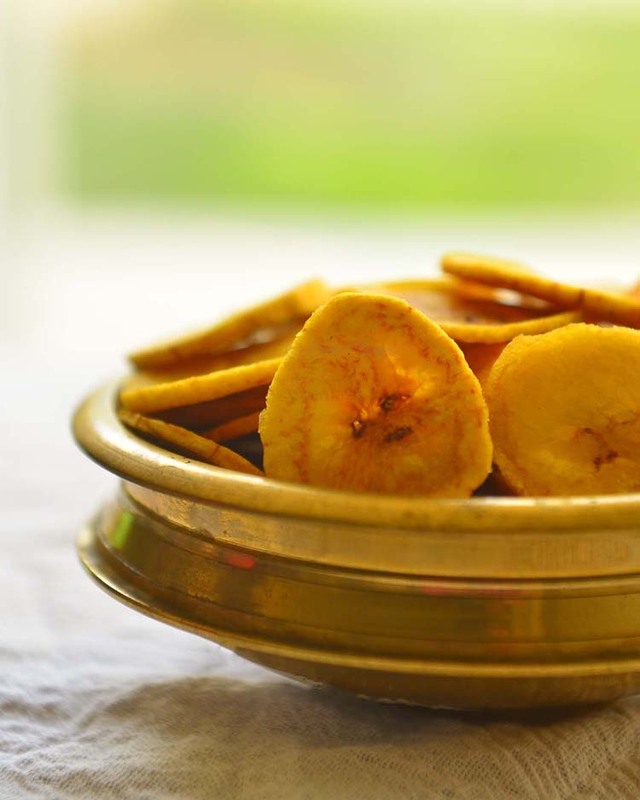 Happy Onam and Some Plantain Chips ! 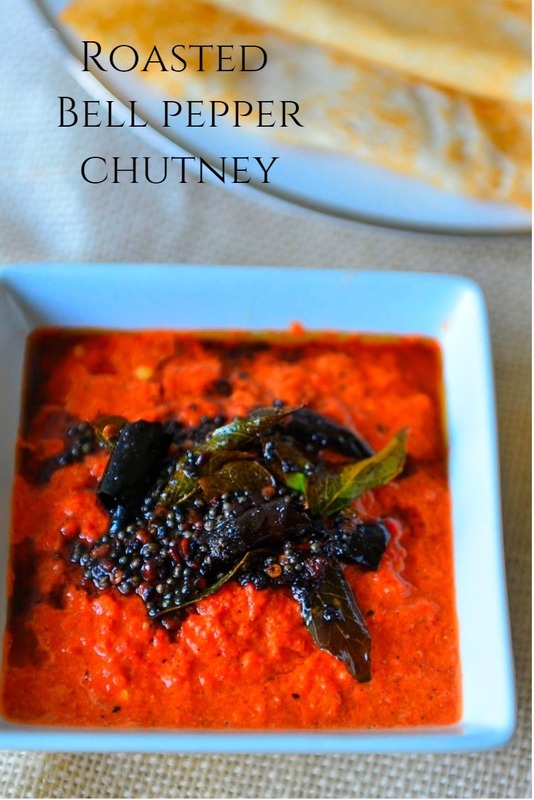 This is one of the simplest coconut chutneys that we love. 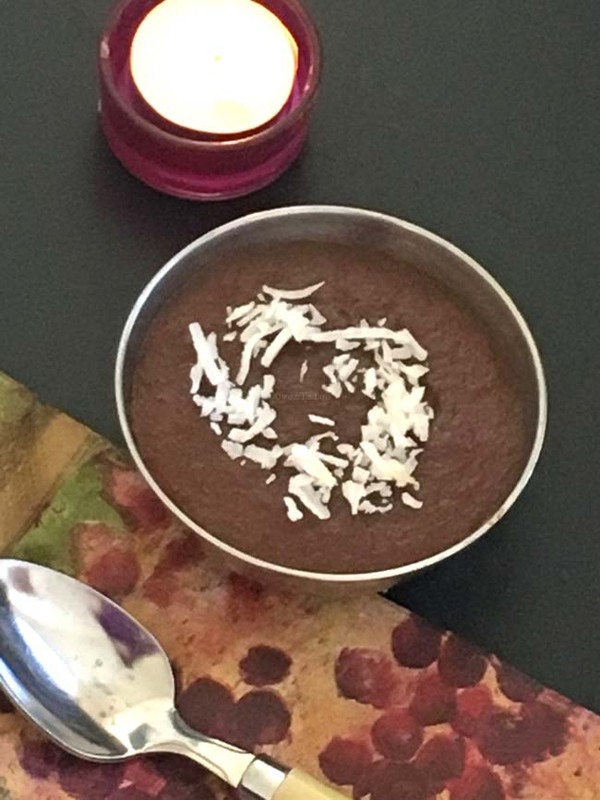 It is made by grinding fresh coconut with a few spices. 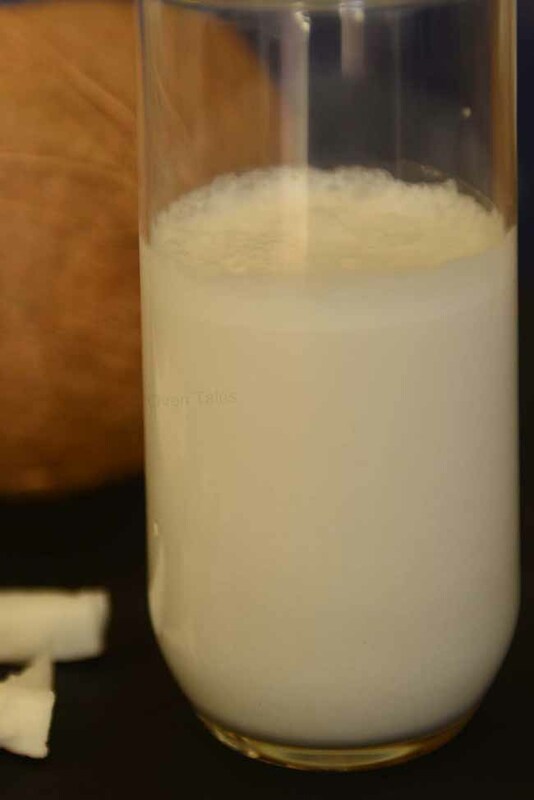 The spices are chosen to enhance the creaminess of fresh coconut. 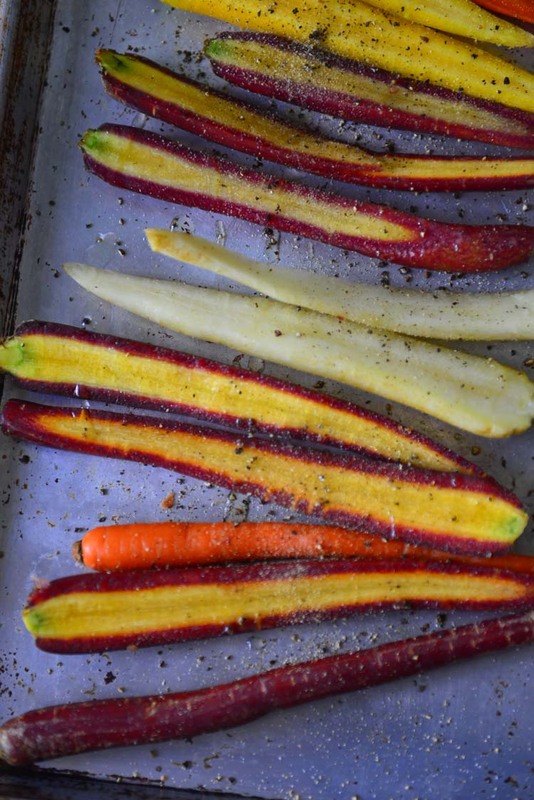 A dash of tempered oil and spices are used finish the dish dish. 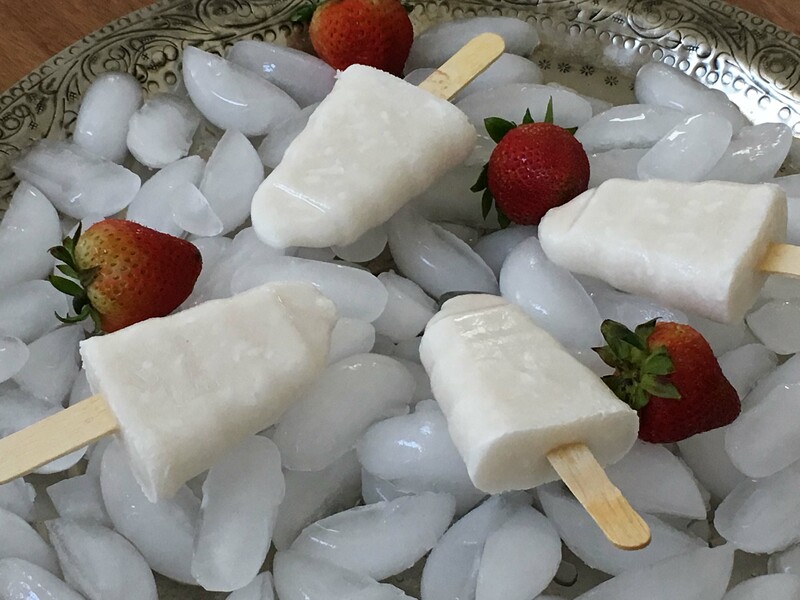 What better way end a cookout in summer than with a sweet ice pop ? 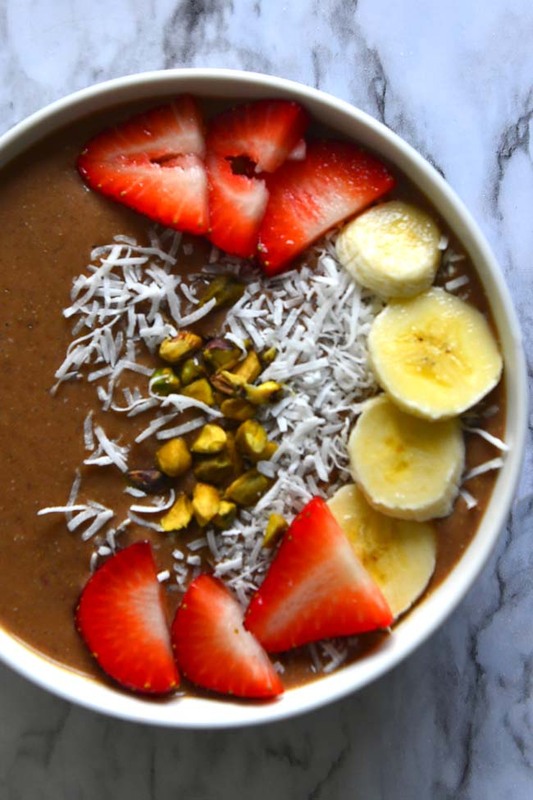 What if it is simple and good for you as well !! 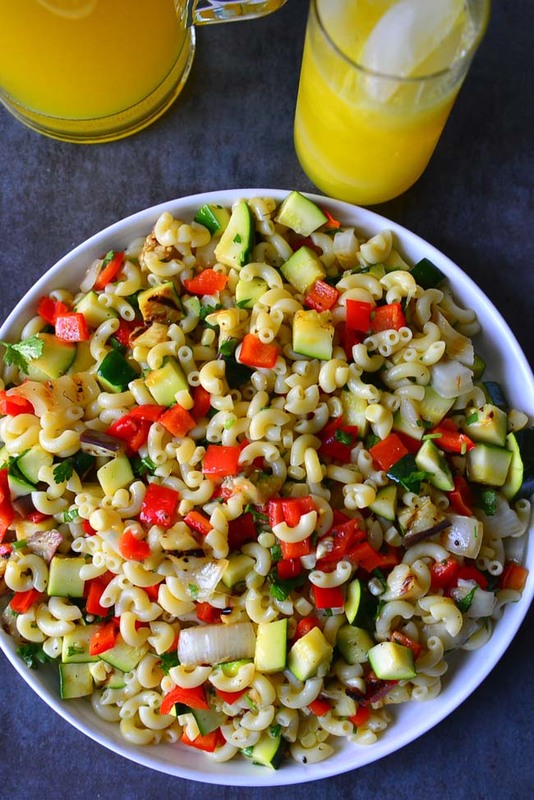 An easy summer salad that is perfect to go along with the grilled goodies. 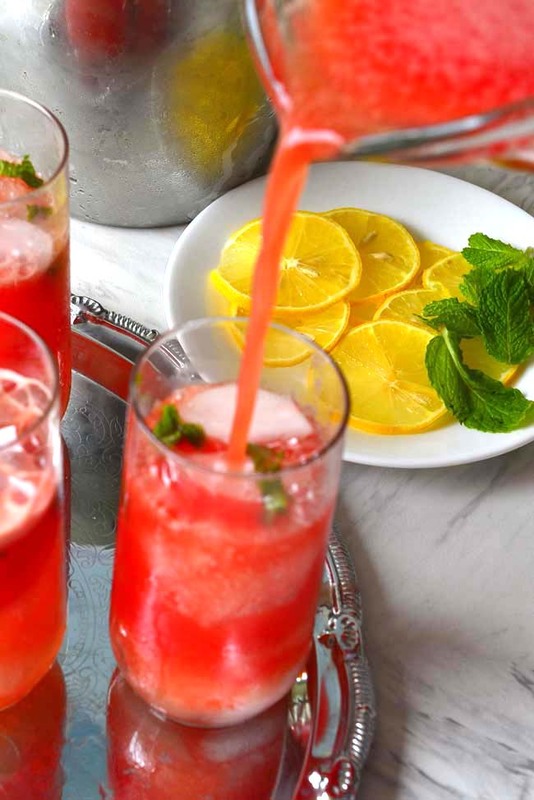 It is a little tangy , a bit sweet and refreshingly cooling. 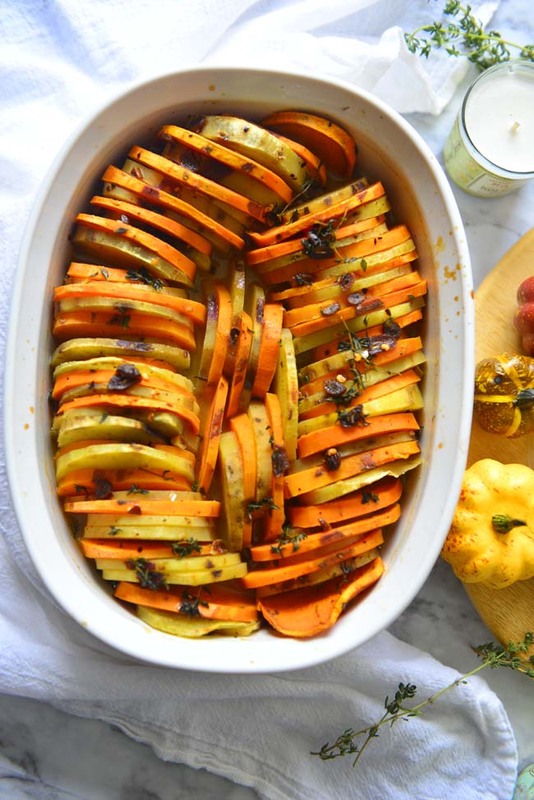 Grill some mushrooms or tofu to serve along with this and you have the perfect meal for the vegan friends as well ! 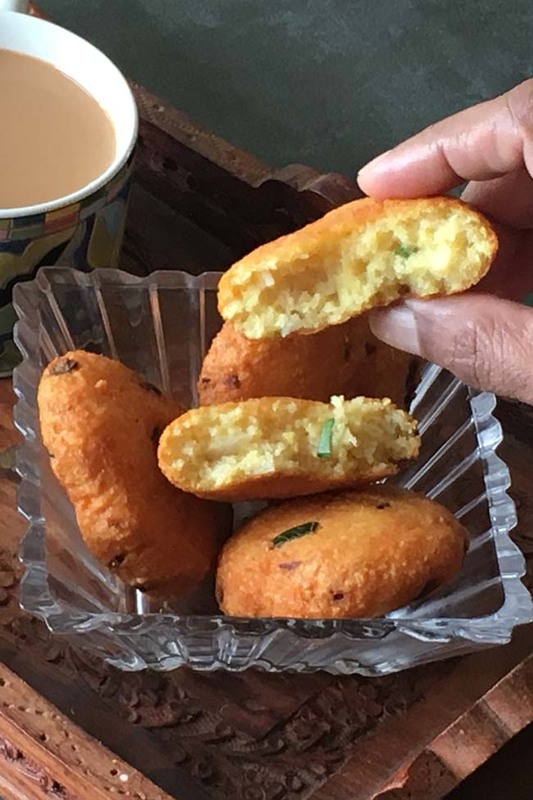 Kalathappam is north Malabar sweet snack. 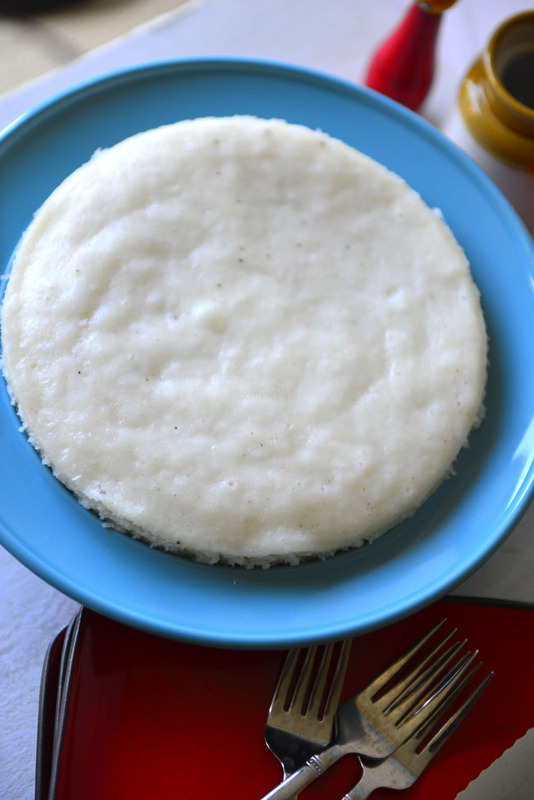 It is stove top cake or cooker cake make usually in a pressure cooker. 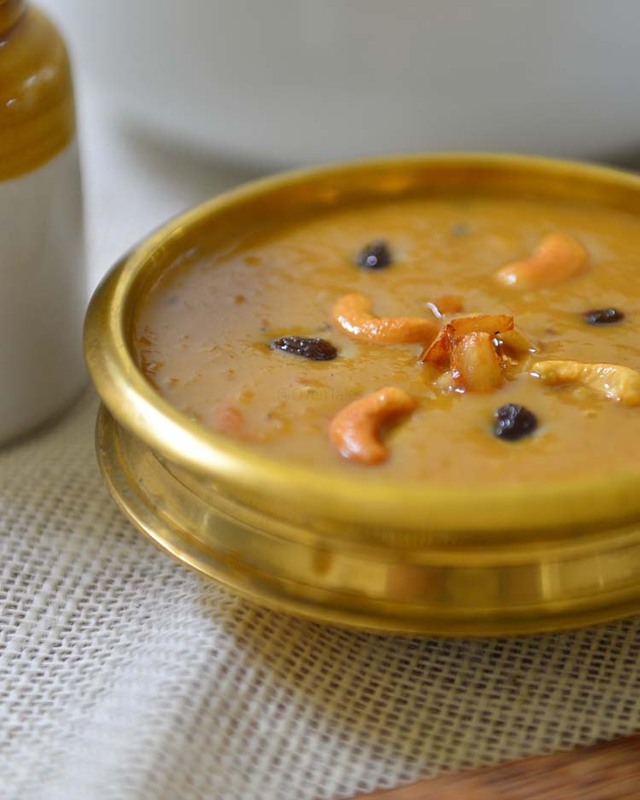 It is made with rice , coconut , jaggery and flavored with surprise – pearl onions ! 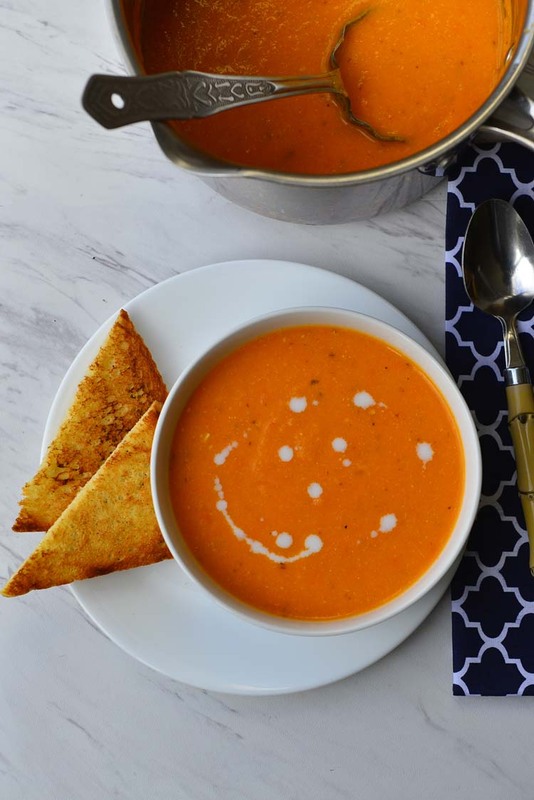 Try it and I am sure you will fall in love with it too. 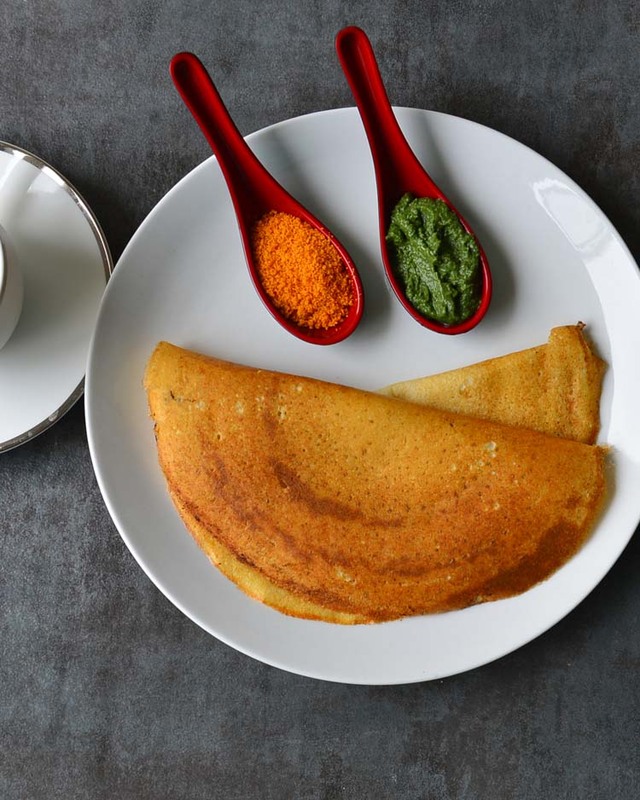 Aloo Parathas are a popular breakfast flat bread in the northern parts of India. 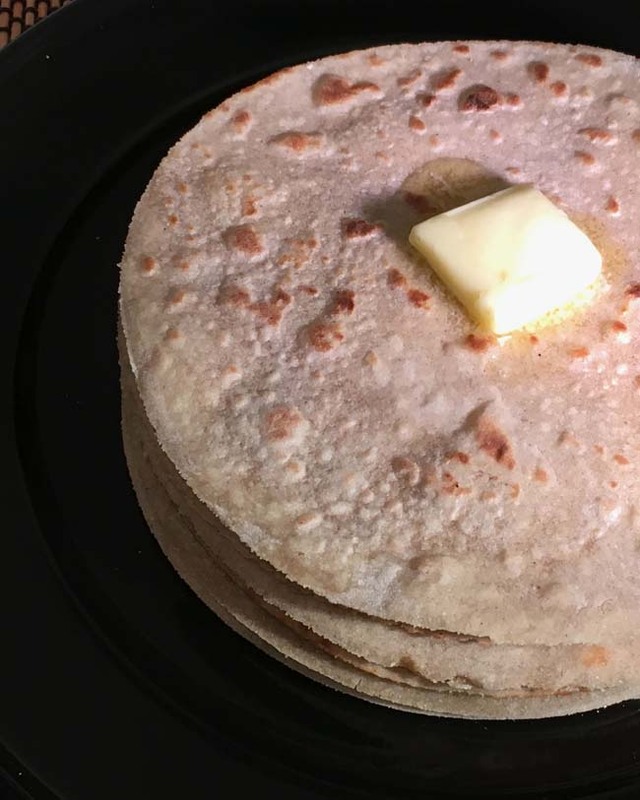 It is a whole wheat flat bread stuffed with a spiced mix of potatoes. 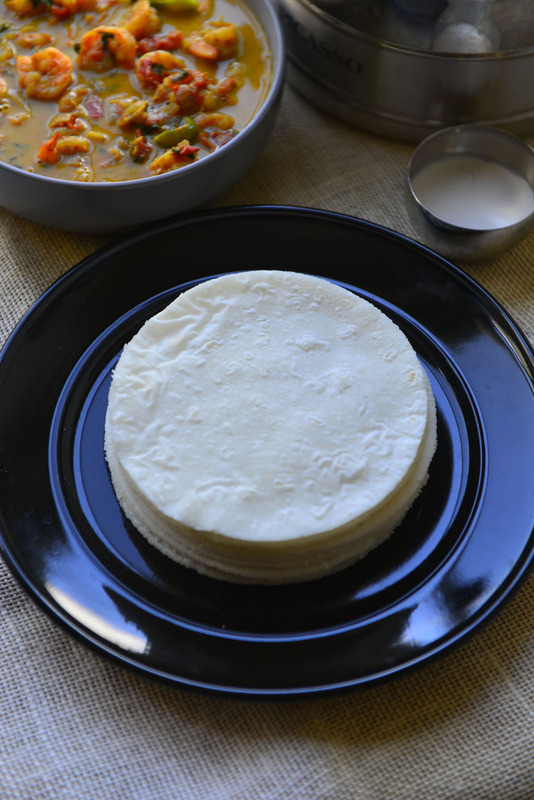 When served with a bowl of fresh curd it has all the elements that you need in a breakfast – protein, carbs , vitamins and of course taste. 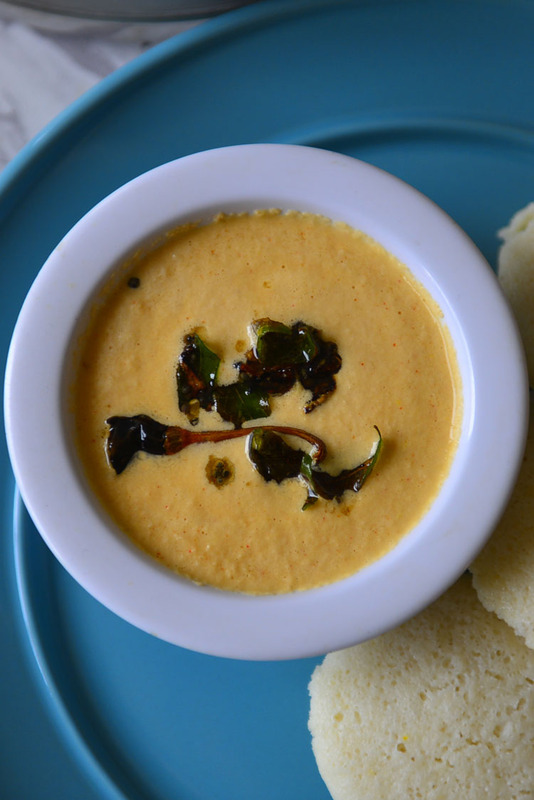 This is a very creamy coconut chutney. 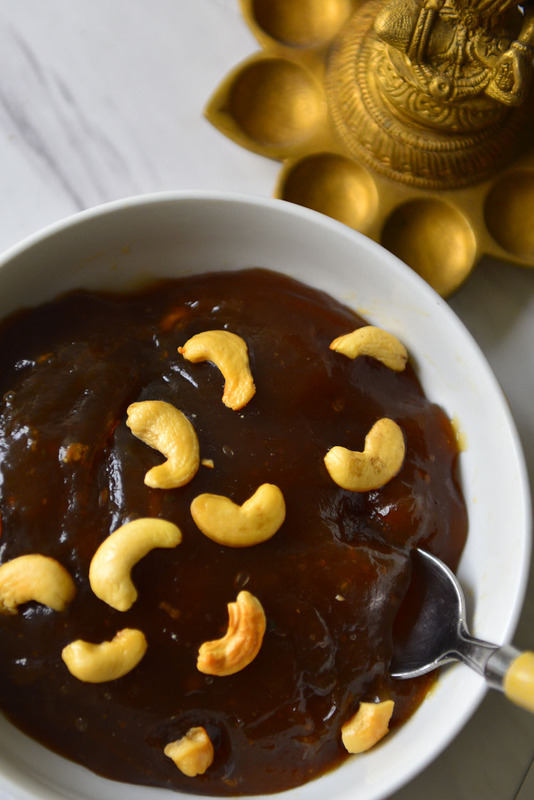 Lightly roasted peanuts are ground along with the coconut making this chutney more thick and creamy. 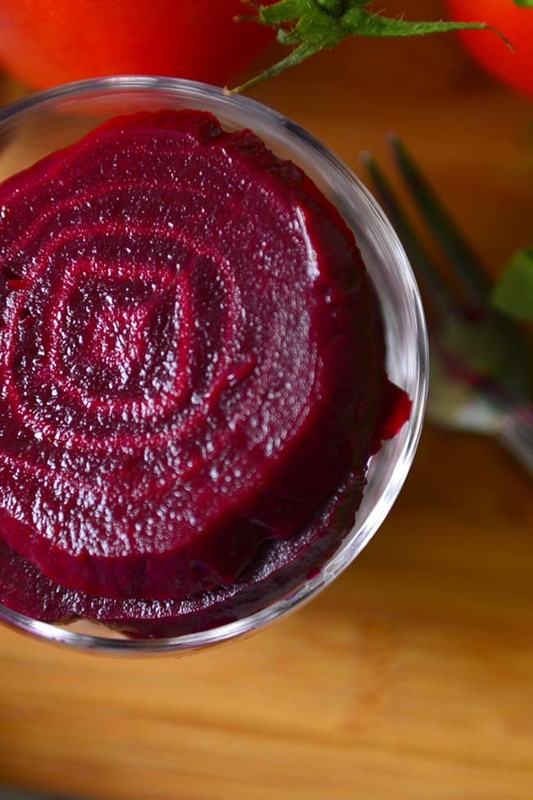 This is perfect to when you crave a heartier chutney or to serve with a tart dish like lemon rice. 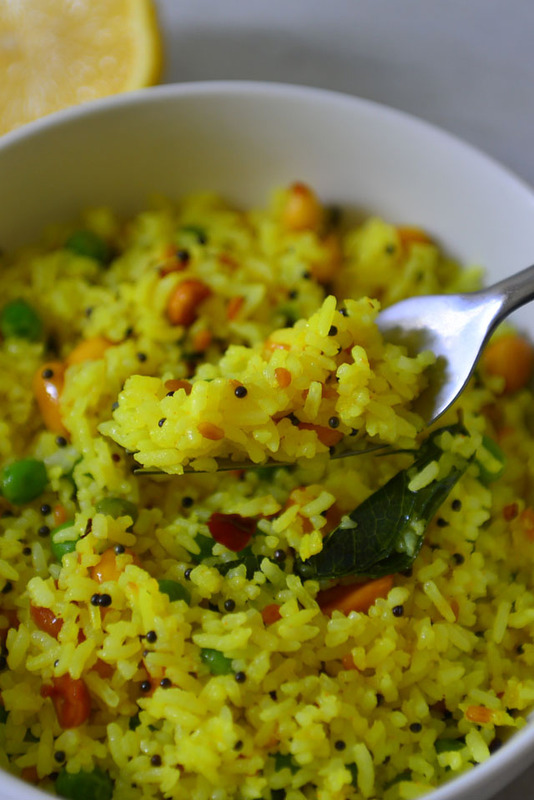 Lemon rice is an easy snack or a quick lunch item. 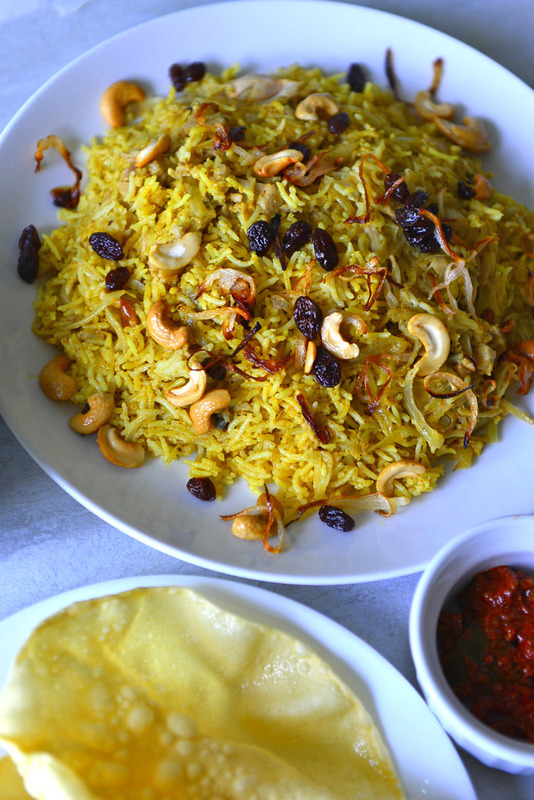 It is a tangy flavorful recipe where cooked rice is flavored with lemon and seasoned with spices. 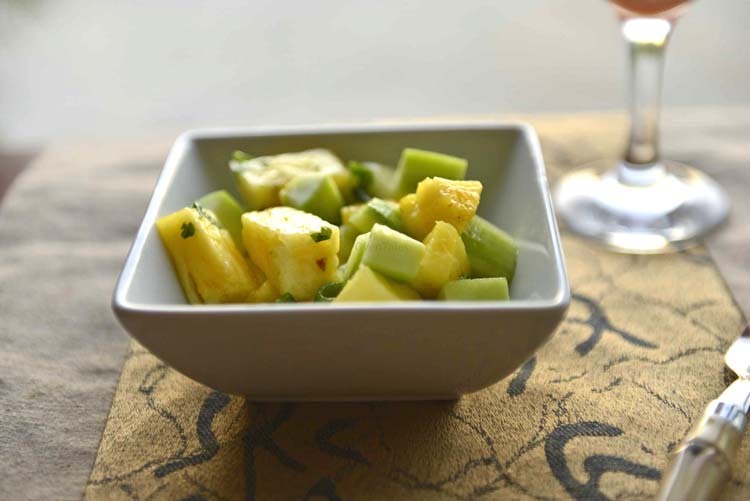 This popular south Indian version is served with a few chips and may be a side of pickle. 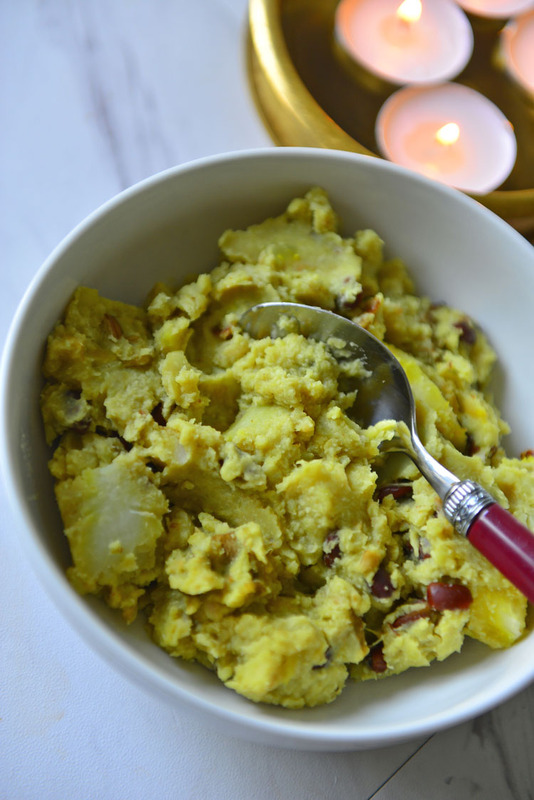 Sirke wala pyaz is a great side to serve with Naan and spicy curry. 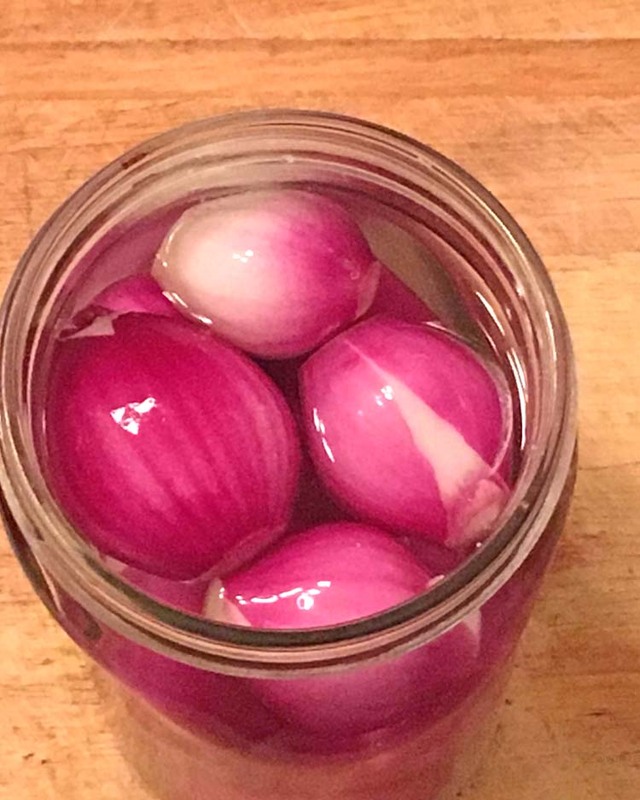 These onions is perfect for tempering the spice level and a delight to the eyes. 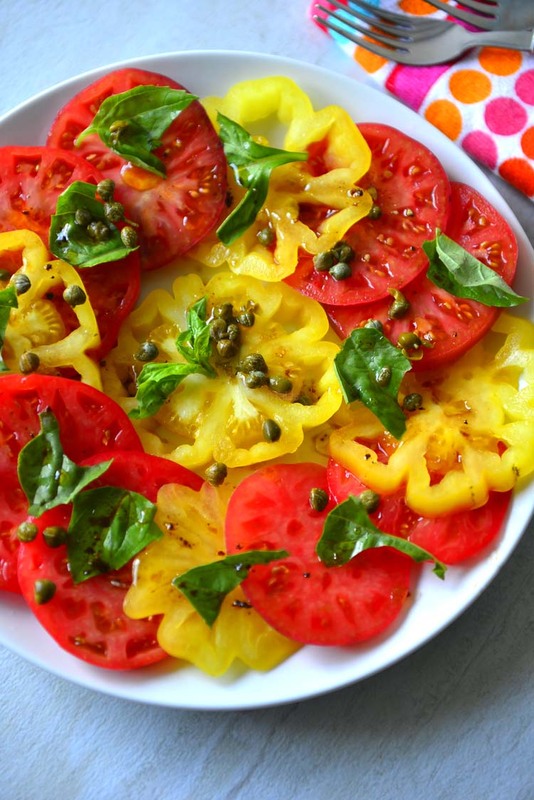 Serve these with kabobs , or grille d meat or sprinkle a few slices over a salad. 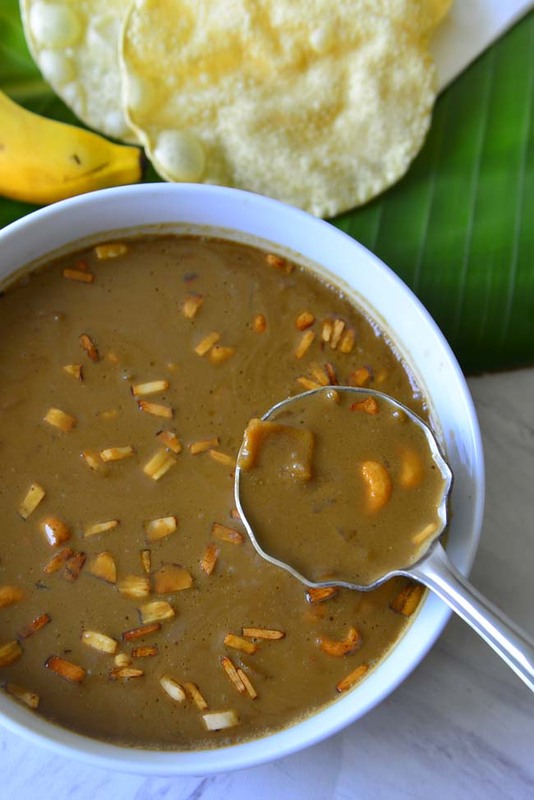 This is a popular dish made with potatoes and usually served with Appam. 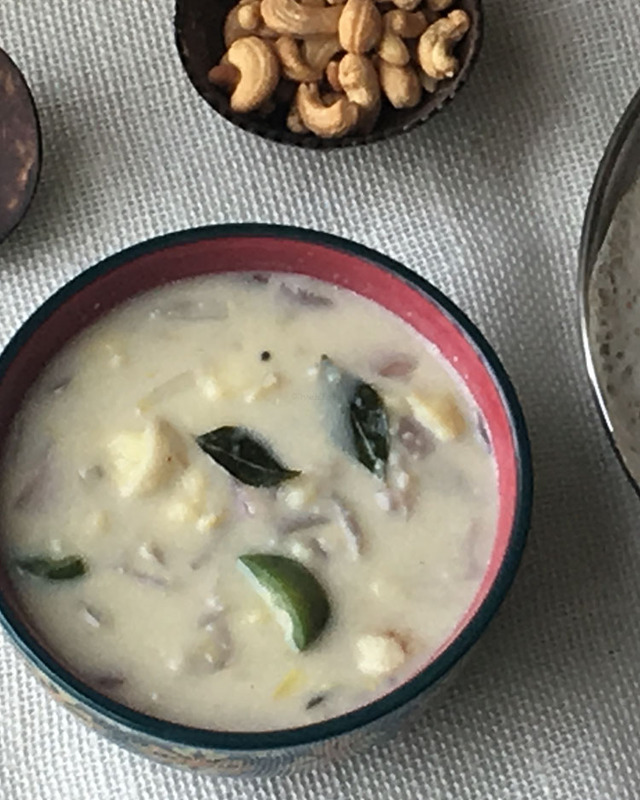 The creamy potato Ishtu is flavored with coconut milk and spices. 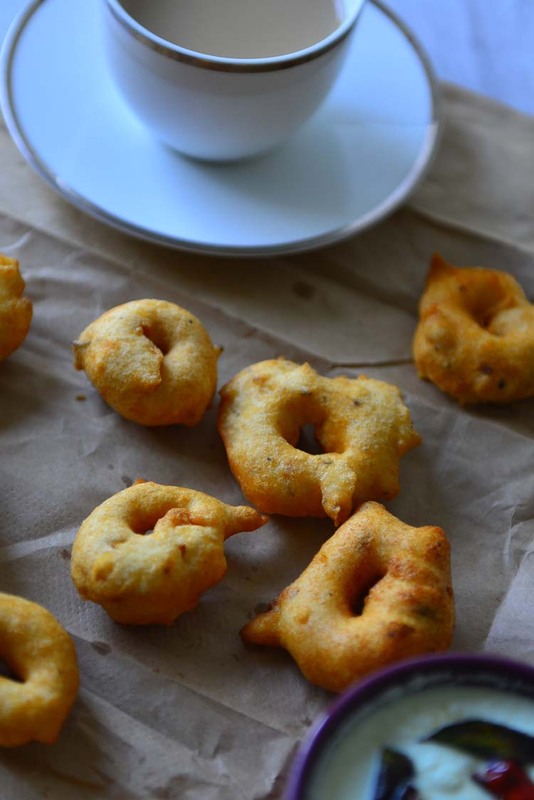 Parippu Vada is a popular snack in kerala. 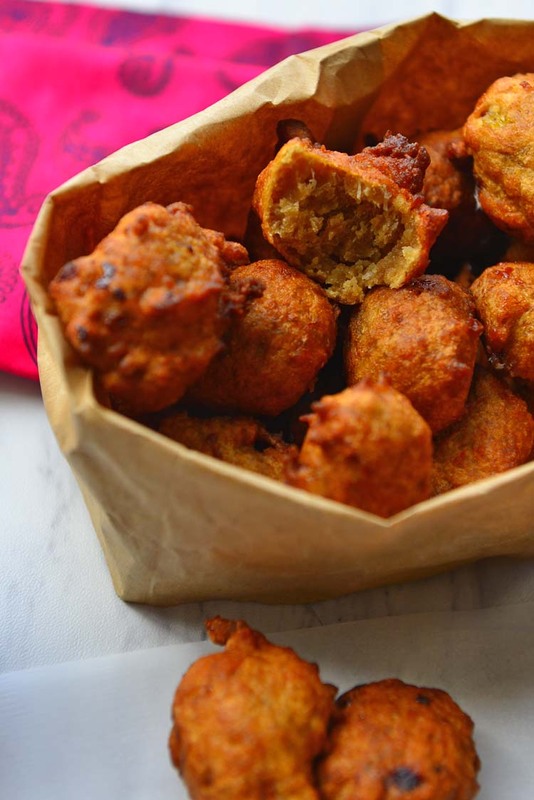 These are made with split peas or chana dal and are perfect tea time snack for a rainy day ! 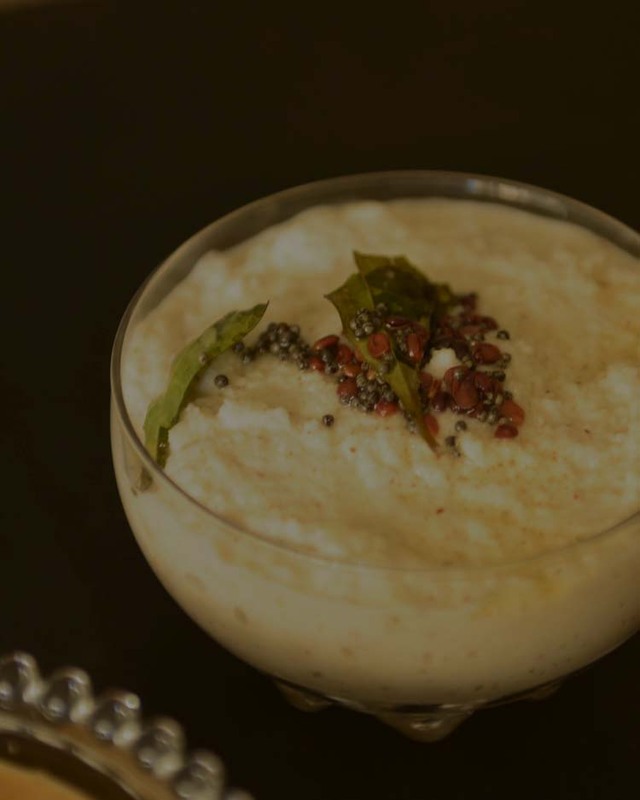 Jowar or Sorghum is an nutritious , ancient grain. 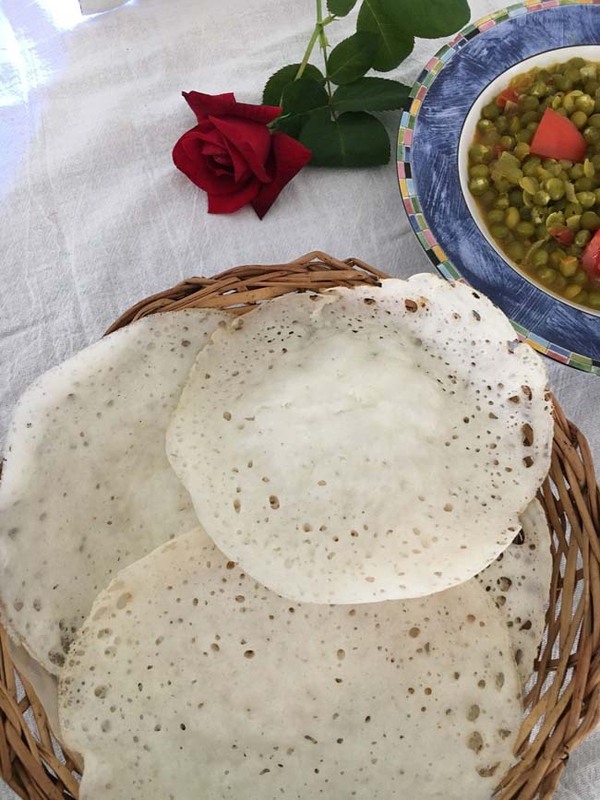 Soft and delicious flat breads can be made with jowar. These are preferred over wheat in many parts of South India. 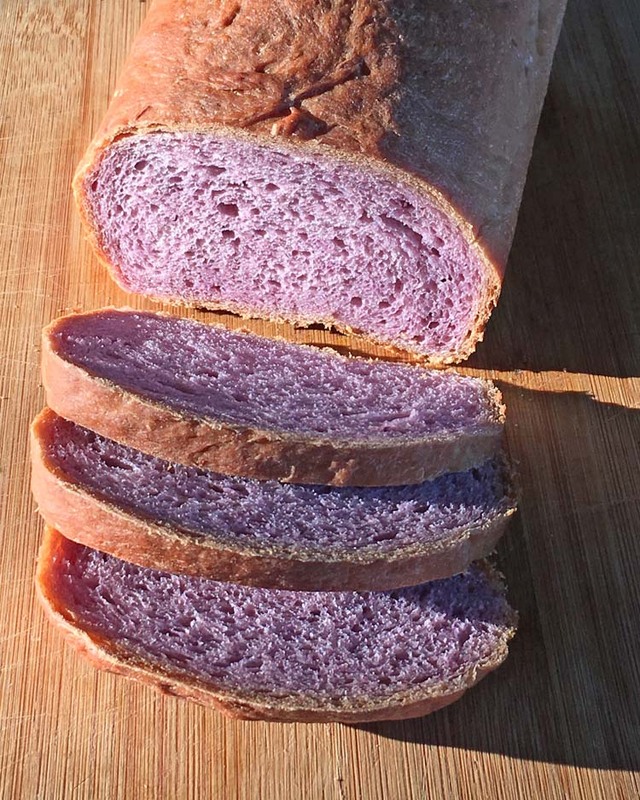 Ube (Purple Yam) Bread – Color Me Purple !!! 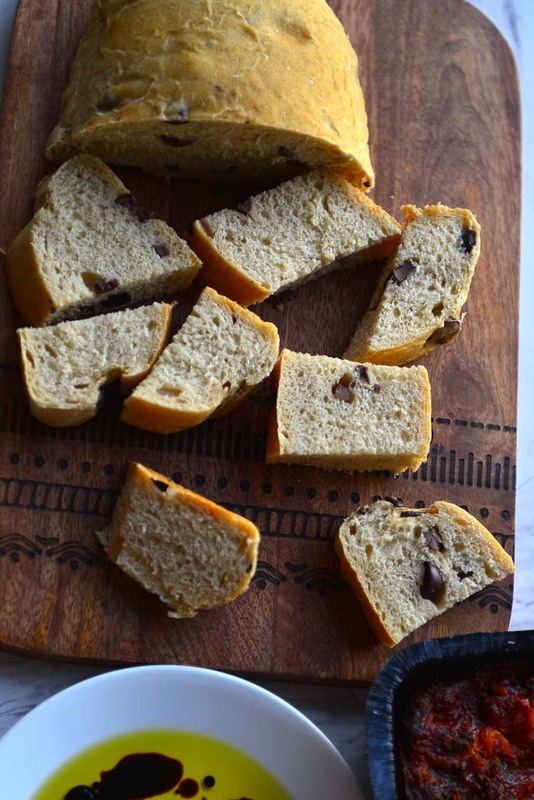 Who wouldn’t love a beautiful slice of purple bread as breakfast toast ! 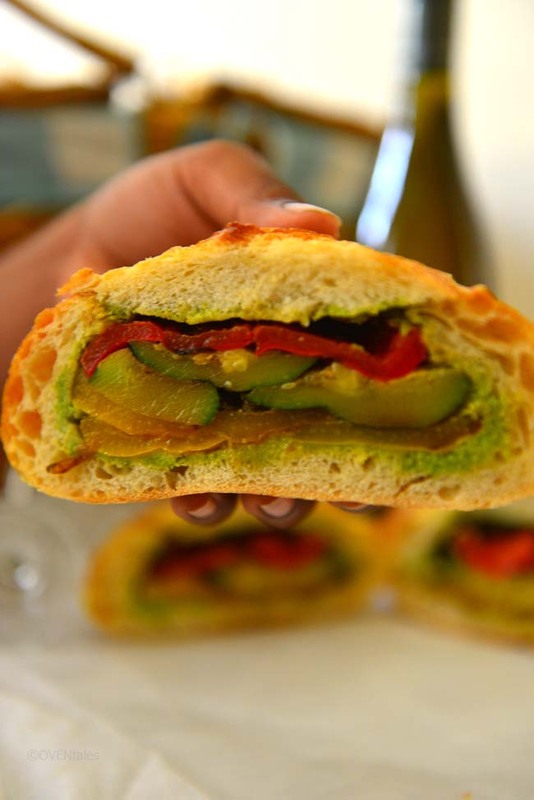 It is delicious , soft and spongy and a treat to the eyes. Ube or purple yam is used to give it the lovely color, no artificial dyes needed. 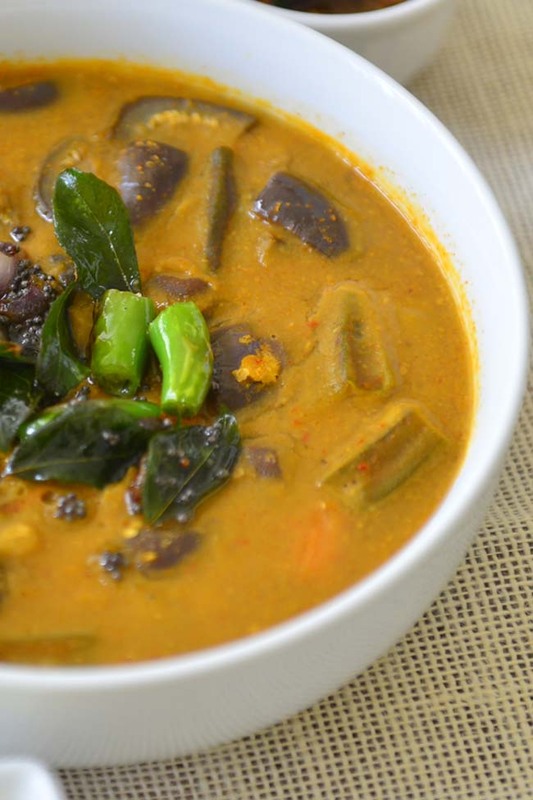 This is the a popular mix vegetable curry from South India. 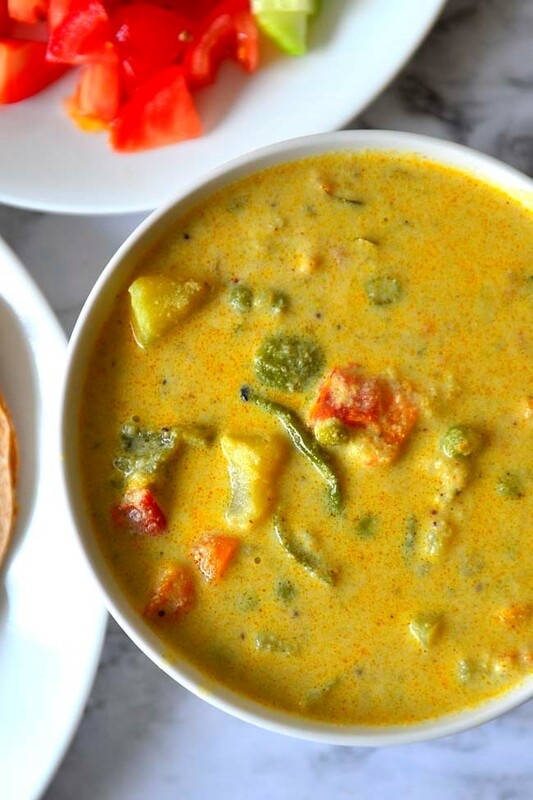 A variety of vegetables are cooked with whole/powdered garam masala in a rich creamy gravy. 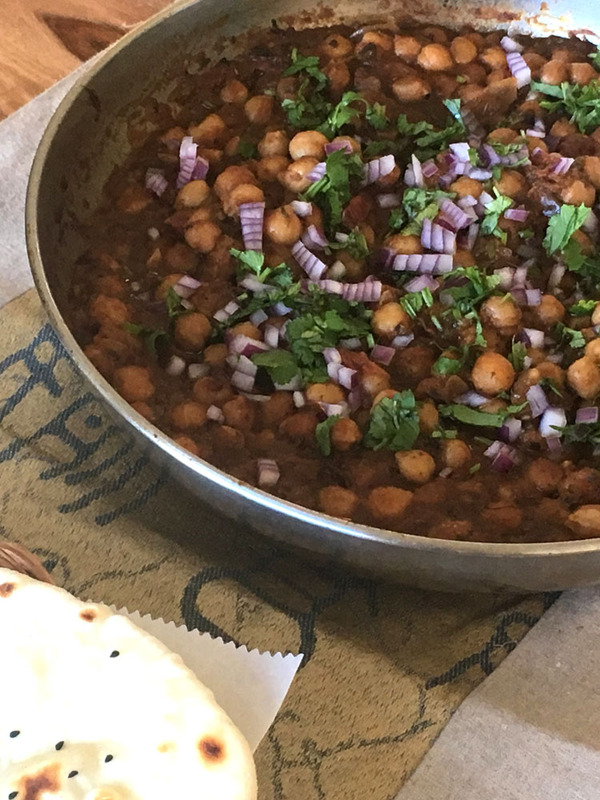 It is an easy one pan dish that goes well with mildly spiced rice preparations or any flat bread. 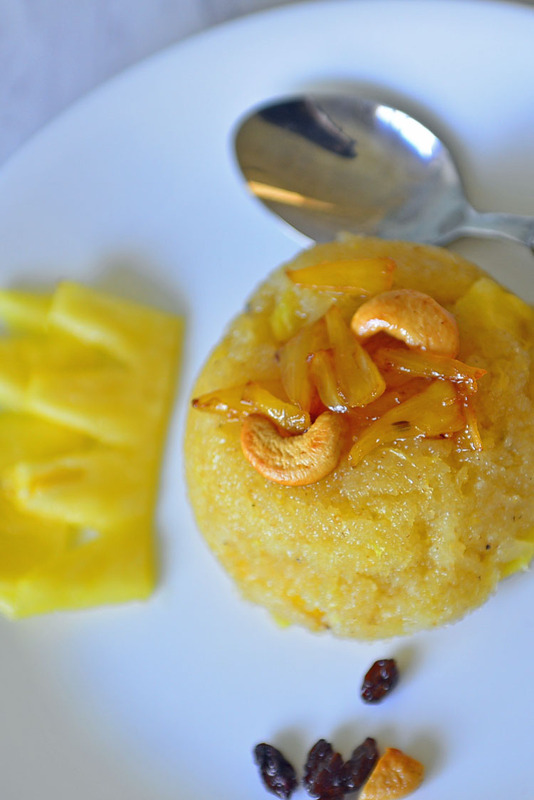 Kesari is an Indian desert made with sooji/rava (cream of wheat). 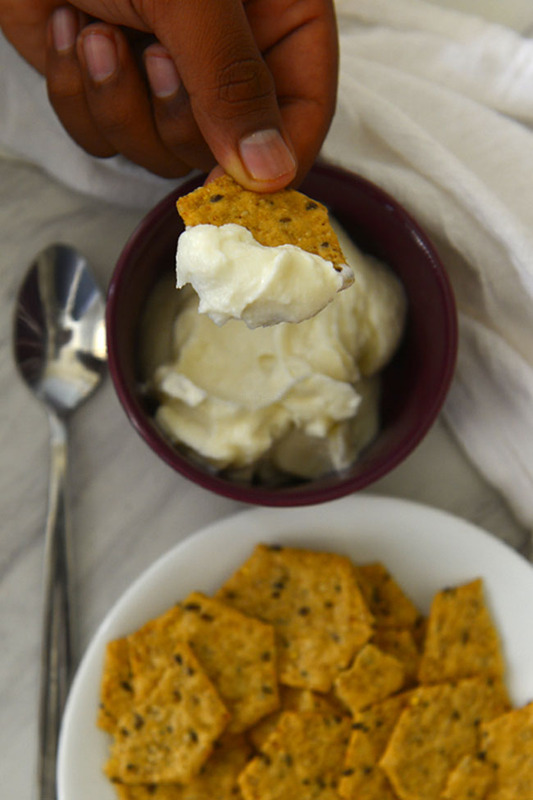 It is quite easy to make and is a perfect treat to serve unexpected guests or for impromptu celebrations. 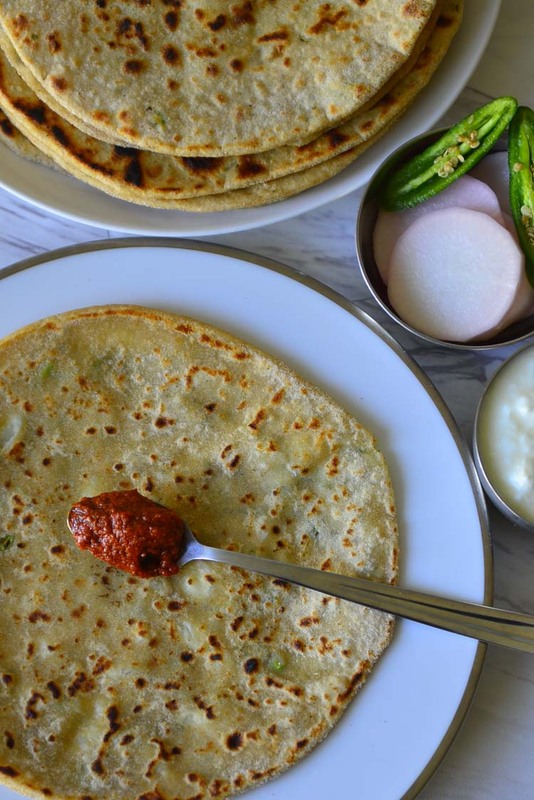 Lachha paratha is a layered flat bread from the Indian Sub Continent. 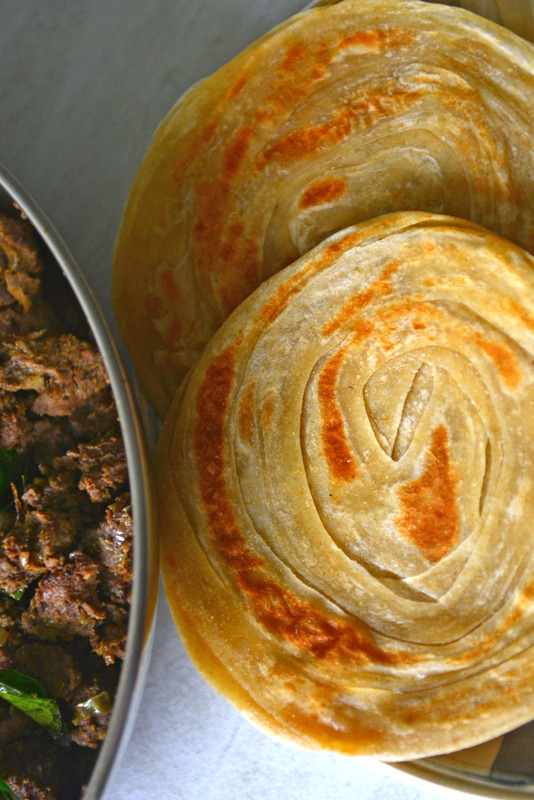 In the south It is also known as Parotta, Malabaar paratha or Kerala parotta . 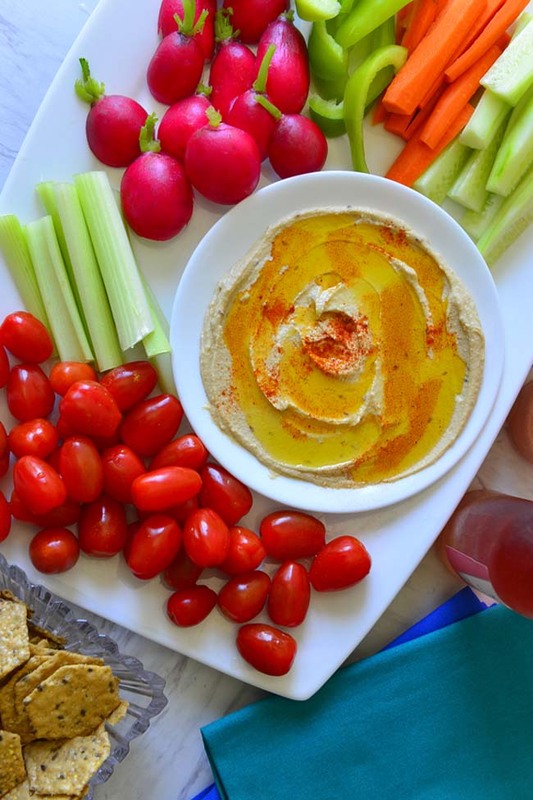 This is a delicious unleavened bread that you will be tempted to eat all by itself . 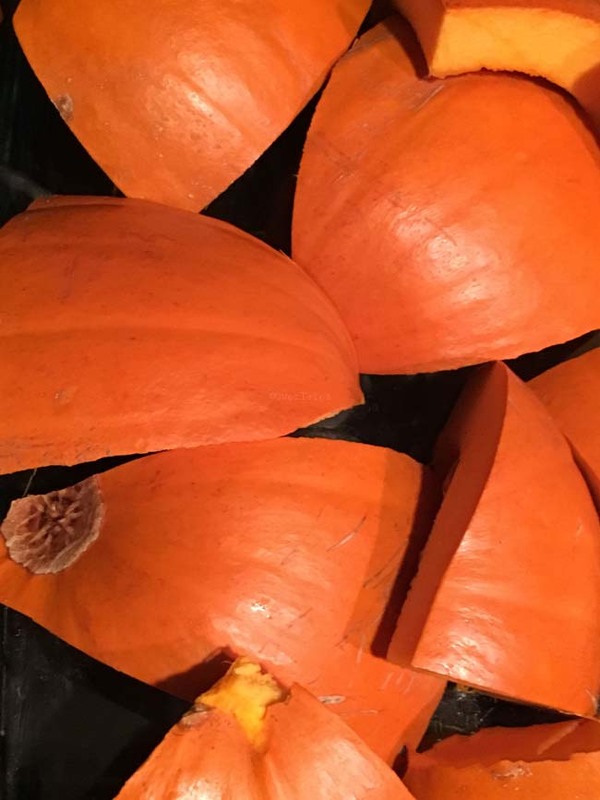 The over lapping layers are crunchy on the top hiding tender layers inside. 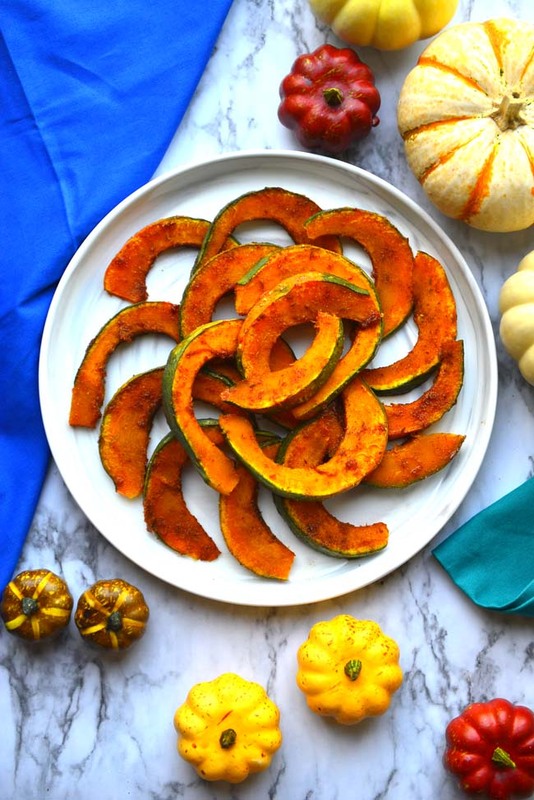 Erisseri is a dish made with a vegetable usually pumpkin and beans. 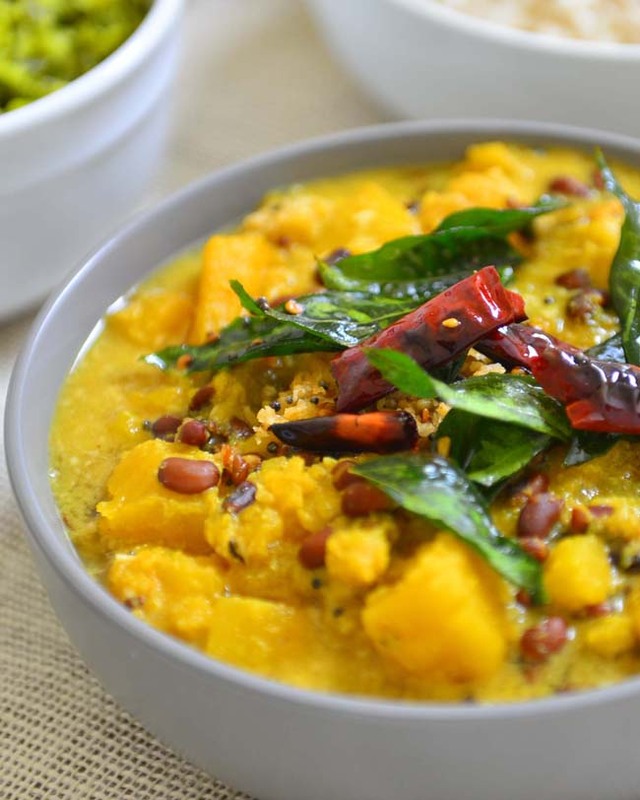 Cooked beans and and pumpkin is mixed together and flavored with ground coconut and spices. 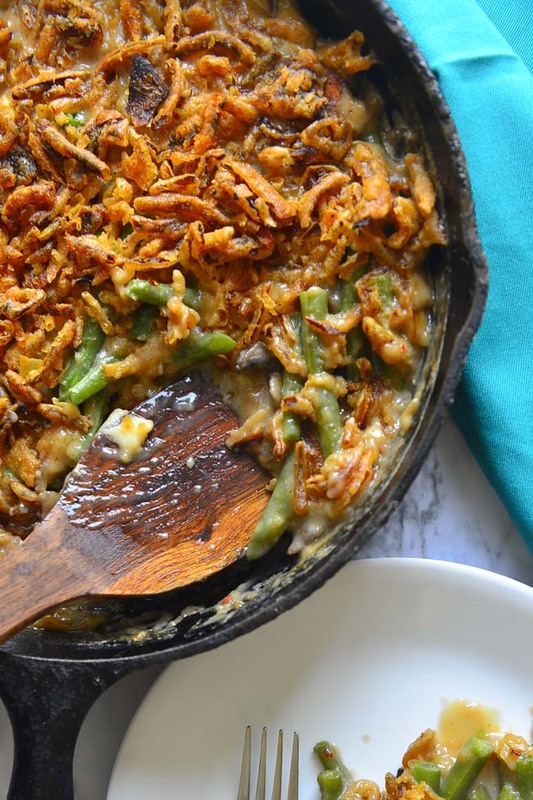 This dish is finished with seasoned oil, spices and toasted coconut. 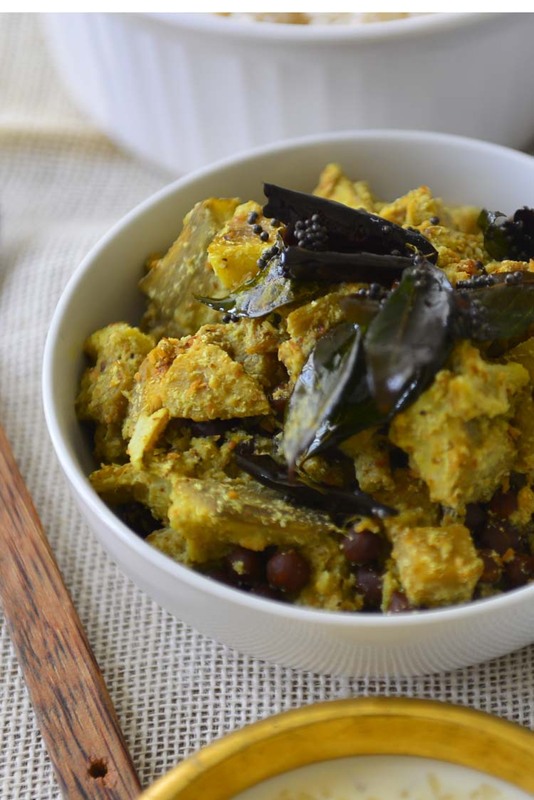 Olan is a very traditional kerala dish. 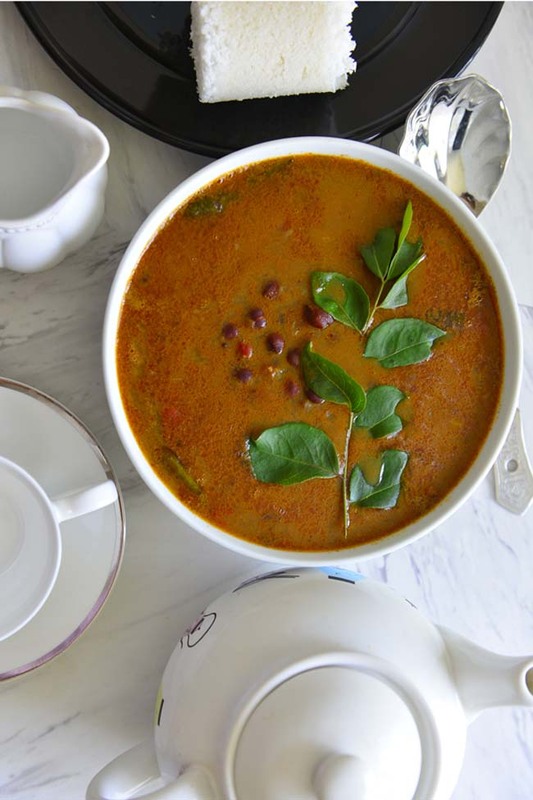 It is mild and an integral of Sadya where very many varied curries are served with rice. 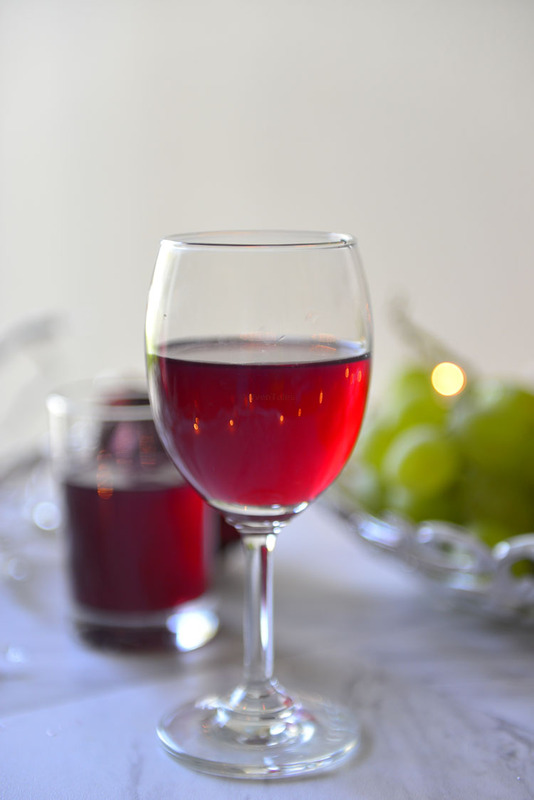 It is almost like a palate cleanser helping you to transition and savor each dish . 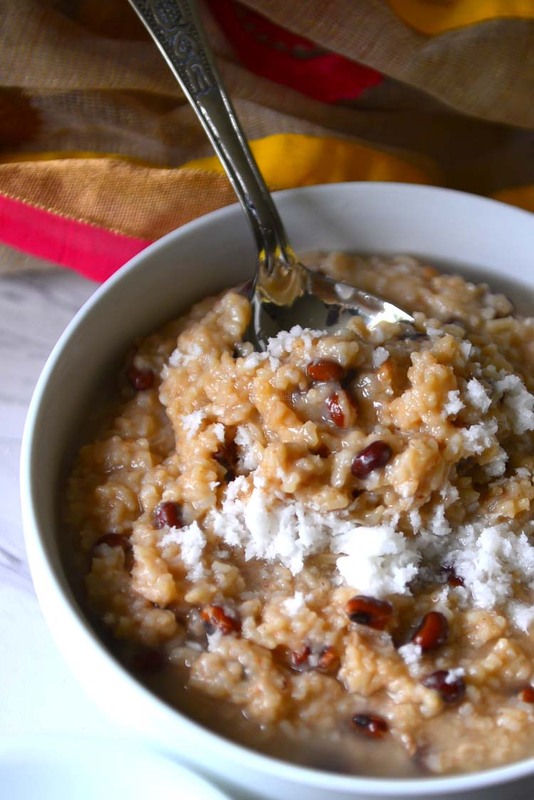 Ada pradhaman is dessert made with rice, coconut milk and jaggery. 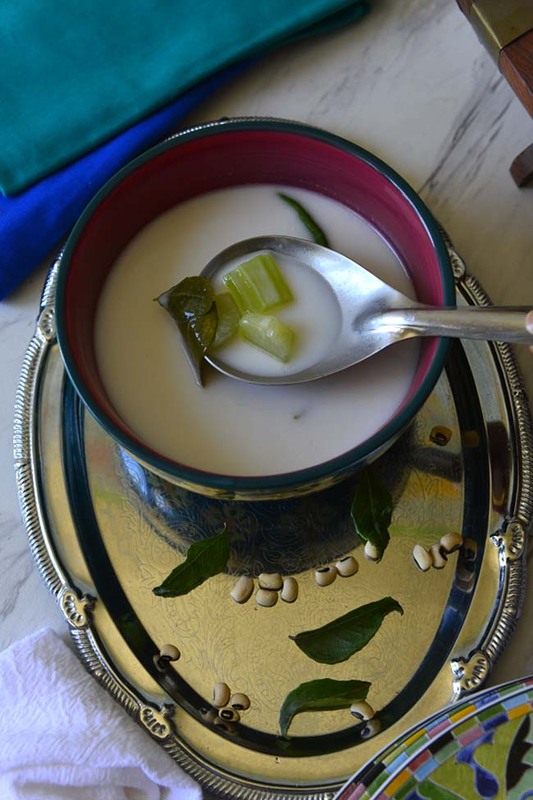 Rice noodles are cooked in coconut milk and jaggery making it delicious , creamy and nutritious. 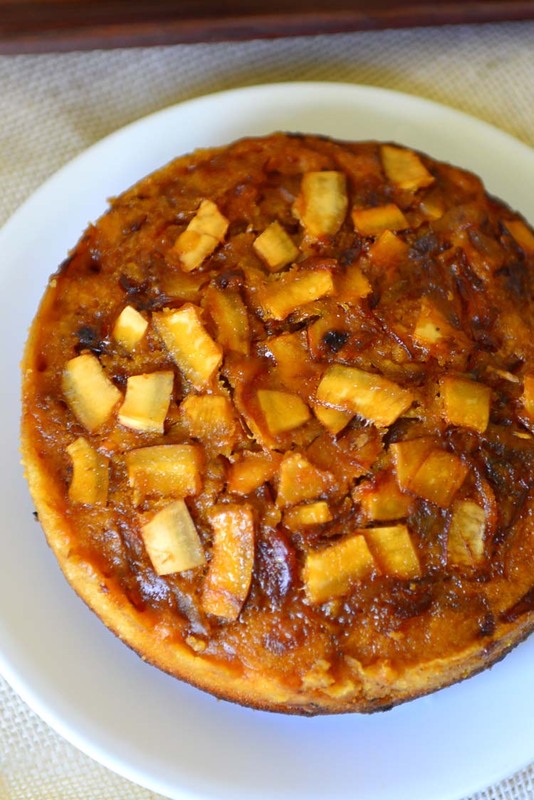 It is topped with fried coconut bits , nuts and raisins.